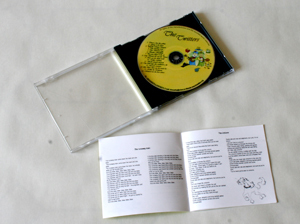 The best songs and music live and on CD for children. The importance of good folk songs and music for children is the reason for the formation of The Twitters. Being able to sing is one of the most natural musical instruments we have at our disposal our vocal chords. A child born today is no different than a child born 50 years ago the only differences are the musical influences being presented to them. Folk singing has always been part of our Irish tradition, and The Twitters are introducing a new CD of children’s songs that were part of their growing up using natural acoustic musical backing and excellent vocal harmonies. 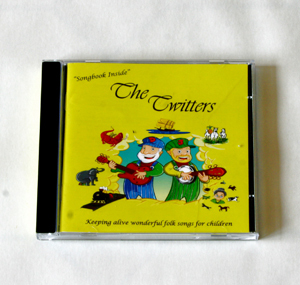 The variety of songs both in English and Irish will show the diversity of songs for children on this quality CD, also included is a booklet of the lyrics which will assist children learning to read and sing simultaneously. Danny Carthy (Uncle Dan) was the instigator of forming The Twitters as he has always enjoyed singing songs for children in schools with his Guitar accompaniment, and it has been the children’s love of the songs that inspired him to form The Twitters and record the ultimate CD of children’s folk songs. Joining Danny is the very talented singer and musician Paul Malone (Banjo Paul) who for many years has been a stand up comedian threading the boards nationwide and abroad, his musical abilities on banjo and mandolin are very evident on this recording. John The Deego Kid is known as the mad monk of The Twitters because it has been said he has never worn shoes in his life, always open toed. He is a very accomplished acoustic bass and Guitar player with a passion for vocal harmonies. Their live performance is a treat for any child, as all the songs they sing have wonderful choruses, and The Twitters while using radio microphones and wireless systems for their instruments, will be walking through the audiences asking the children, parents and grandparents to sing along with them as part of the performance. For parents or grandparents who want something special musically for their children, whether it’s to introduce them to the songs that have been a part of their growing up, or perhaps instead of television of an evening listen to nice songs being well performed by The Twitters, or maybe for that long journey in the car, what better way to shorten the journey than with The Twitters CD. It will have everybody singing including the dog and whoever wants to be the frog “Croak”. The new website is an integral part of their CD while browsing you can enjoy listening to samples of some of the recordings.